Posted On April 29, 2014 by Team iCynosure. 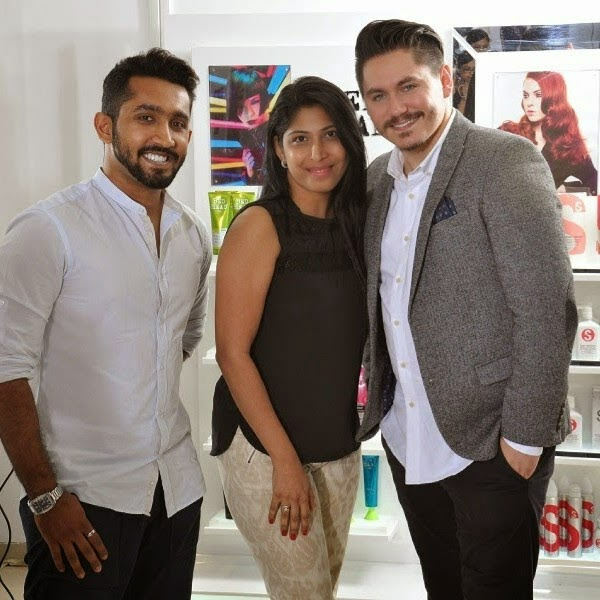 Last Thursday I headed over to Unilever in Mumbai for a Styling session with Kieron Webb, the International Creative Expert for TIGI. TIGI is an internationally renowned professional hair care and styling brand. Present it has a vast range of serums, gels, waxes, shampoos and conditioners under three brands for the Indian market namely, Bed Head and S Factor. The founding principle of TIGI is to work with professional hairdresser recognizing them for their artistry. Thus, TIGI products are designed by hairdressers for hairdressers and are the tools to elevate the craft of hairdressing to a higher level of creativity. BED HEAD is a range of shampoos, conditioners and styling products for people who love life, break rules and push boundaries. These products allow you to express yourself and customize the latest trends to your own personal style. S Factor was designed for women who want sensational hair whether she wears her hair sleek and slinky, smooth and shiny or sultry and soft, S Factor creates the ultimate in glamorous hairstyles. The S Factor range also has shampoos, conditioners and styling products. Kieron shared some great insights about the latest International hair trends and decoding looks that would suit the Indian summers. As the session progressed, a few hair myths were broken and some simple DIY tips were given. It was a wonderful insight into the two styling ranges of TIGI, the Bed Head and S Factor. All in all, it was a fantastic learning experience. Stay tuned for my review of TIGI's styling products.